It's not a bug. 'Define profile' dialog allows you to configure many options, Multiple Generalization is one of them. 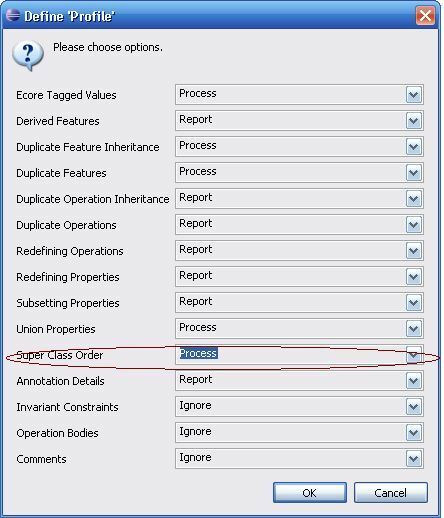 You can change default value of 'Super Class Order' option from 'Report' to 'Process':<br>[[Image:DefineProfile.jpg]]<br> After that Profile will be applied well. 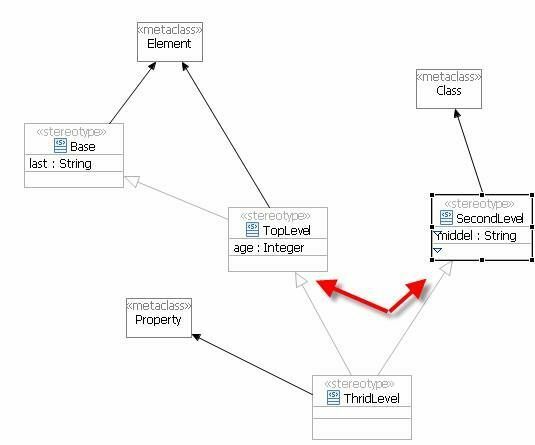 [http://wiki.eclipse.org/images/e/e0/Uml2tools_profile.psf This] PSF file consists of plugin for profile diagram editor(org.eclipse.uml2.diagram.profile) and its dependencies from UML2Tools.